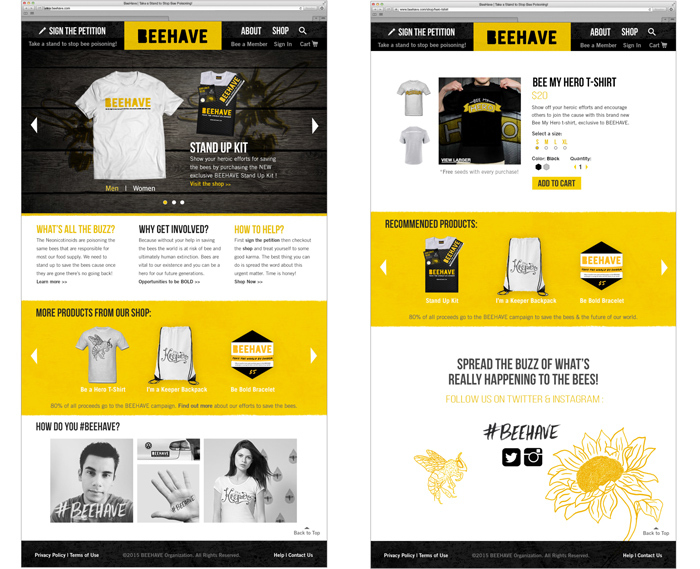 Objective: Create a visually distinct campaign that encourages the target audience to save the bees. Solution: The BeeHave Campaign was designed to stand out from currently existing campaigns that aim to save the bees. With the growing impact of social media, it encourages both male and females to “take the world by swarm” by spreading the word and standing up for the efforts to end the use of Neonicotinoid pesticides in plants. The design decisions used throughout the website and touchpoints are bold and reflect the urgency of the matter. Quirky wording is used in the tagline and website content to further encourage the younger crowd to participate in bee saving efforts. The website promotes the cause by encouraging the user to sign the petition against Neonicotinoid use, donate to the campaign, and purchase products with trendy designs to help spread awareness. 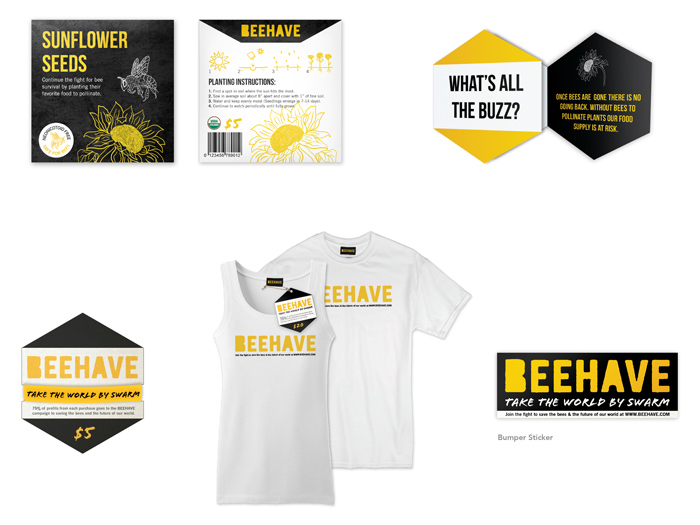 The BeeHave kit was designed to offer an incentive to the consumers. It also increases sales while advertising the campaign and is actively promoted on website’s homepage.